Some Vodafone Mobile Phone User Manuals PDF above the page. Vodafone, the world's largest mobile operator, was founded in 1984 as a subsidiary of Racal Electronics Plc, the third largest electronics company in the UK, gaining independence only in 1991. Since then, the company has been named Vodafone Group. 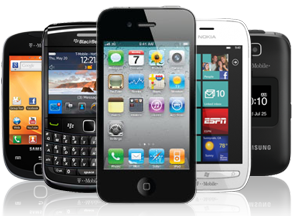 The company has always striven to remain at the peak of innovation in the world of mobile communications. 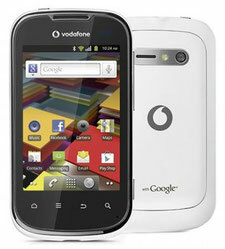 Vodafone became the first mobile operator in England. And 9 days from the 1st to the 9th of January, 1985, remained the only one, on January 10, the next, there was a competitor - Cellnet, until 1993, the two operators divided the UK market among themselves. 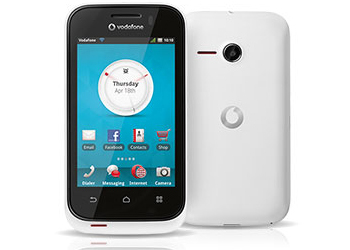 For two decades of its existence, Vodafone has become the leader in the mobile communications market in GSM networks. In 1999, the company buys American AirTouch Communications, Inc, the largest mobile phone operator, receiving strong support in the United States. In 2000, Vodafone AirTouch PLC (the new name of the merged company) doubled its assets, by taking over Mannesmann AG, the German multidisciplinary concern, the deal became the largest in the world at that time, reversed the entire disposition of the mobile communications market and brought Vodafone to unconditional leaders at a few years ahead. With assets for development and digital and analog communications at this point, Vodafone completely abandons analog telephony, focusing on the development of mobile networks, anticipating the slow death of fixed devices and networks. For two decades of its existence, Vodafone of the largest UK company is turning into a global multinational giant, entering the markets of Europe, America, CIS, Africa, the Middle East, and the Asia-Pacific region. The company owns assets in 27 countries of the world and in more than forty countries has concluded partnership agreements with local mobile operators. Vodafone provides partner companies with substantial discounts when purchasing equipment, phones, the opportunity to use their marketing practices, in turn, gaining a presence in a new market for themselves without huge investments. To whom such cooperation is more advantageous, the question is controversial. There is a vague suspicion that Vodafone still remains in the win. Read - HTC Smartphone Manuals PDF & History.